« Earthbag Building Guide Now Available! For us readers trying to understand. 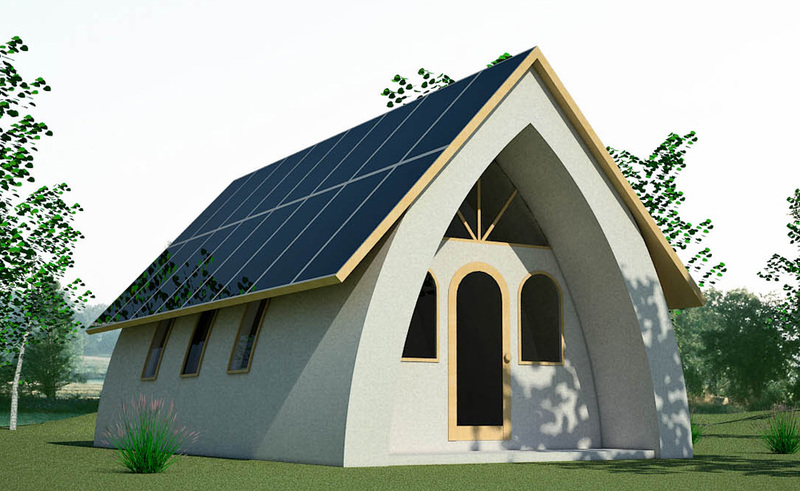 How does the frame work extend from the earth bag walls to support the roof and hold the insulation? Is it wood frame with bamboo or willow rods? Steel? Very practical spaces Vaults are and they say super strong. Did you follow the link? 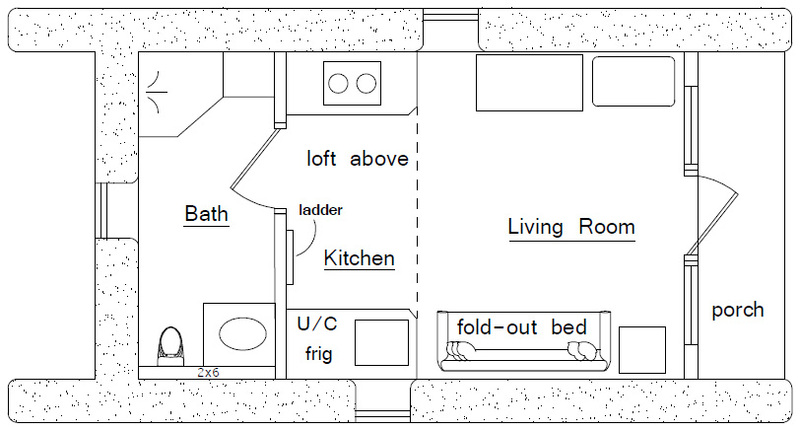 The drawing on our Earthbag Building Blog should be clear. Try enlarging it. Rebar, willow poles or bamboo are pounded into the earthbags before the soil hardens too much. Cover the frame with mesh and add a coat of plaster to stiffen the frame. Then narrower bags or tubes of lightweight insulation are attached to the frame with twine. Tubes would be much faster. One idea worth trying: Attach two ladders together at the top in an A-shape. Angle the ladders so you don’t have to step on the vault during construction. You could also try building some A-framed scaffolding with planks to stand on. A pointed vault would be easier to build if you’re using bamboo or willow poles, and the loft has more usable space. All you would have to do is join the bamboo or willow together at the peak. 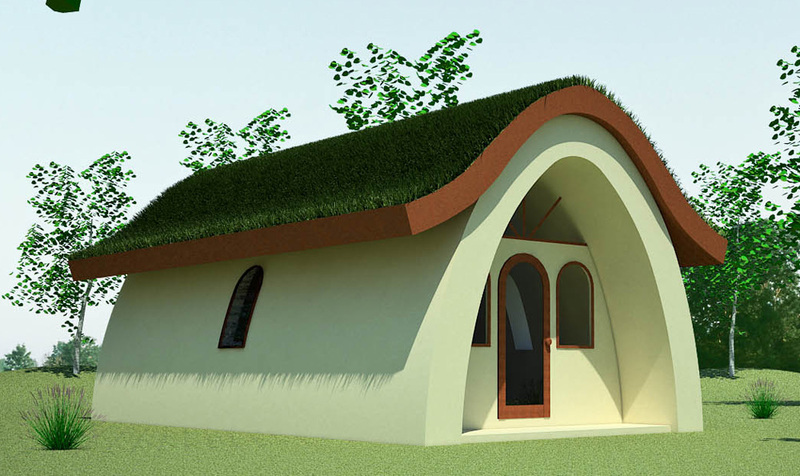 This shape also simplifies roof construction. Use rebar to build the curved vault. 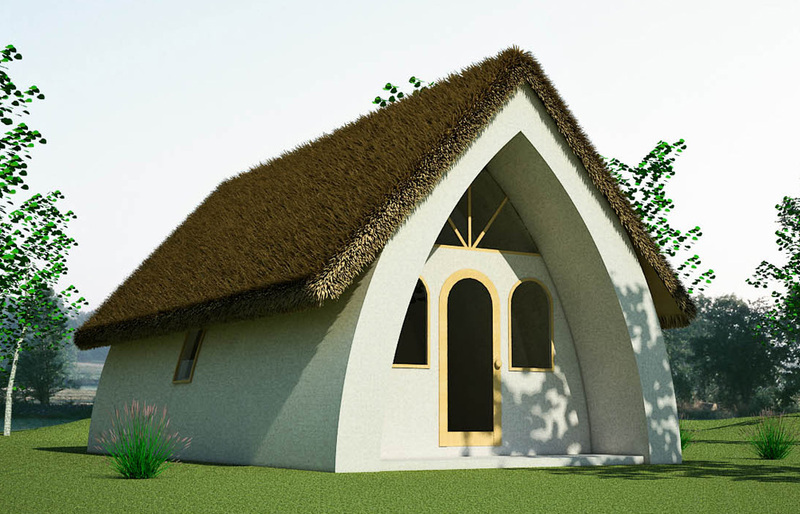 The curved vault with living roof would be the most difficult and time consuming to build. It’s experimental and not recommended as a first time project. I’m just throwing it out there to show some possibilities. Plus, living roofs require regular ongoing maintenance. Be ready to climb on your roof every few days. I’ve been admiring your plans for several years now, as my husband and I plan towards building our very own. Thank you for your work and bringing such knowledge to the ‘masses’!